Jeff has been involved in many businesses over his working career. From the late 1970’s until 1995 Jeff worked at Motorway Tyres Pty Ltd a tyre manufacturing factory, where he worked for over 16 years from the factory floor working up to Senior Management and the position of General Manager. In 1995 Jeff joined the company Saferoads as General Manager, a manufacturer and supplier of road safety traffic products, started off as a small local business in 1992 founded by 3 local shareholders and directors. The company successfully grew, into a large company that listed on the Australian Stock Exchange in 2005. 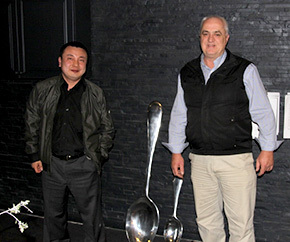 Jeff was an integral part of the success and growth of the business. In 2006 Jeff founded RPS Industries Pty Ltd which is largely a rubber matting business which sources most of its products from China. In 2009 the Gecko Surfacing Solutions division of the business began and is a wholesaler and installer of synthetic grass and also imports it’s products from China. 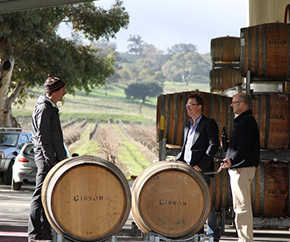 From importing many products from China over the past 15 years and developing strong and long lasting relationships with the Chinese people, in 2011 some Chinese business friends talked to Jeff about the idea of selling Australian wine to China. From this time The Red Kangaroo Wine Company was started with Dean McCracken and Hamish Seabrook. Jac studied at Minzu University of China from 2004 until 2008 and holds a Bachelor of Biotechnology. 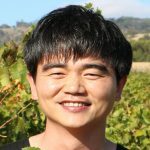 After graduating from University Jac began his career in Beijing working for Signe Vigneron which is the second-largest wine company in the Beaujolais of France in a sales position. At the beginning of 2011, Jac joined Beijing Shengqizhuangyuan International Trading Co. Ltd and was responsible for the marketing of Holymount Estate wine which is owned and produced by The Red Kangaroo Wine Company. Since this time Jac established a long-time friendship with Jeff, Dean and Hamish. In 2014 Jac studied and passed the Wine Australia Trade Specialist Program and in 2016 he successfully completed the WSET Level 3 which is a world wide recognised wine course. After much deliberation, Jac joined The Red Kangaroo Wine Company in early 2017 and has now set up and office in Beijing and supports the companies endeavours into the Chinese wine market. Dean studied at RMIT University of Melbourne up until 1992 and holds many formal qualifications in Business Management, Marketing, International Trade and Accounting. In 1992 Dean returned to his family business Motorway Tyres Pty Ltd and worked along Jeff and eventually after 14 years he left the family business after it was sold to a large Melbourne investor. In 2006 Dean joined Jeff at RPS Industries as National Sales Manager and became a shareholder a short time later in April 2007. Dean became the General Manager in July 2007. 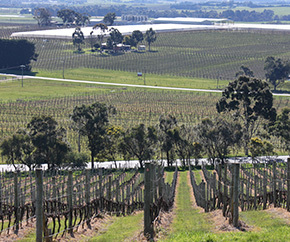 In the time prior to university study and a working career, Dean’s father had an established vineyard ‘Boroka’ in the Grampians region of Victoria. Dean spent most weekends at the vineyard and here is where his keen love for wine first began. 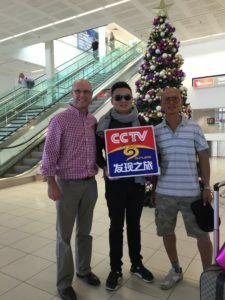 From Dean’s travelling experiences to China with RPS Industries and building many Chinese friendships has urged the establishment of The Red Kangaroo Wine Company Pty Ltd which has been started to export and distribute wine to China. Kathleen studied at Tianjin University, China from 1999 until 2003 and now holds a Major in International Business and English. After graduating from University Kathleen began her working career at Jingdong Rubber Co Ltd where she became very successful at the international sales for the company and in 2007 became the highest rank seller at Jingdong Rubber. At the beginning of 2013 Kathleen began her own trading company and in the short time it has been operating her business has flourished. This is attributed to Kathleen’s experience and enthusiasm to source and supply quality goods which ensures total customer satisfaction. Kathleen’s business success and long-time friendship with Jeff and Dean provides The Red Kangaroo Wine Company with a local contact and to support the company’s market development.